Happy New Year! The Tiddly Inks design team is ringing in the new year with some fabulous inspiration to get you crafting after the holidays. There are two ways to enter -- link up here or share your projects over on the Tiddly Inks Stamps Facebook group for a chance to win a $15 store credit!! If you use Facebook, don't forget to tag your creation with #tiddlyspiration too. I've used Tiddly Inks Sweet Tooth - Cute as a Cupcake for my project today. Don't those cupcakes make you drool? The card base and balloon are cut from patterned cardstock. Glossy accents added to the balloon string, cupcakes, dress accents and shoes finish off the card. Don't forget to share your creations with us using #tiddlyspriration in the Tiddly Inks Stamps Facebook group or through the challenge linky here. I look forward to seeing how you are inspired in 2016!! Happy New Year!! You can find links to the supplies I've used below; click on the image or wording to get taken directly to the product. When possible, I use affiliate links which means if you make a purchase, I receive a small commission at no extra cost to you. I truly appreciate your support. 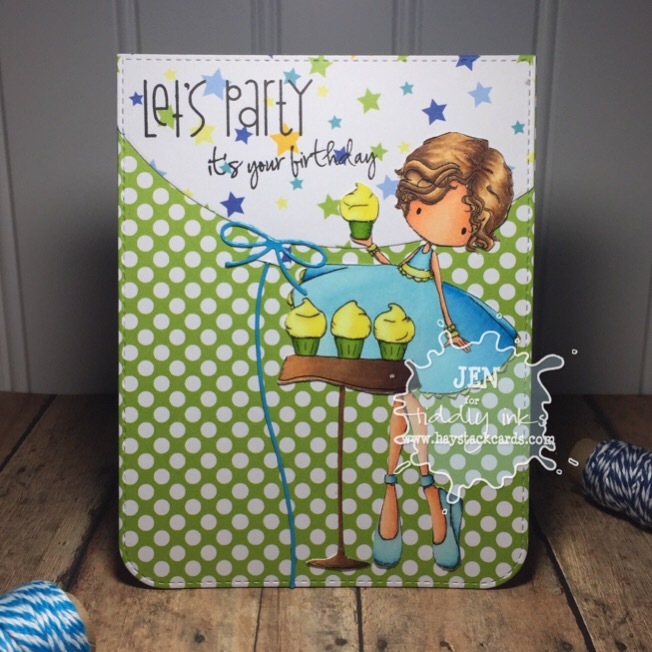 A gorgeous card Jen, a fabulous design with great papers, your Tiddly Inks image is adorable and super details!! Gorgeous! The bright, fun colours are wonderful. hello Jen! 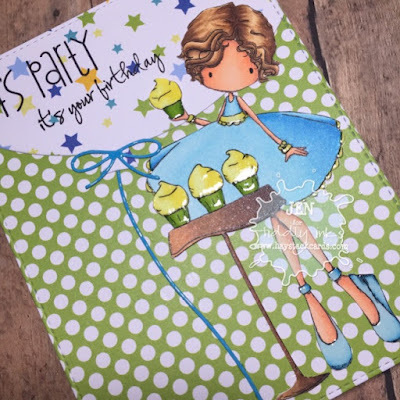 what a super sweet card, luvin the polka dotted paper and your coloring! so glad you played along with us at simon says stamp wednesday challenge!